DACPD99– This level 4 short course unit examines the processes involved in mathematical thinking and how they link to aspects of memory and attention. The difficulties that learners with dyslexia and co-occurring difficulties, particularly dyscalculia, can have with numeracy are explained. The association of ‘number sense’ (numerosity) with dyscalculia is also examined. The unit explores theory, offers some practical ideas and provides the practitioner with the fresh perspective necessary to effectively use structured, cumulative, multi sensory teaching to promote numeracy development in learners where it is stalled or significantly delayed. Identify the cognitive attributes necessary for the development of numeracy skills. 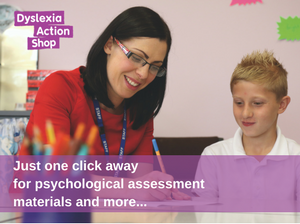 Identify the difficulties that learners with dyslexia may experience when developing numeracy skills. Discuss the importance of relational understanding in mathematical development. Identify the difficulties that learners with dyscalculia may experience when developing numeracy skills.